**FREE POWERTRAIN WARRANTY! **, **BLUETOOTH HANDSFREE-CALLING! **, **MP3 / IPOD COMPATIBLE! **, **PANORAMIC MOONROOF! **, **REAR BACK UP CAMERA! **, **KEYLESS ENTRY**, **NAVIGATION! **, **3RD ROW SEATING! **, **CHROME WHEELS**, **CERTIFIED BY AUTOCHECK - NO ACCIDENTS! **, **AWD - NEVER WORRY ABOUT THE WEATHER! **, **6CYL - UNBELIEVABLE PICK-UP! **, **SUPER NICE**, *GREAT BUY**, **INFINITY PREMIUM STEREO**, **HEATED & COOLED LEATHER SEATS**. 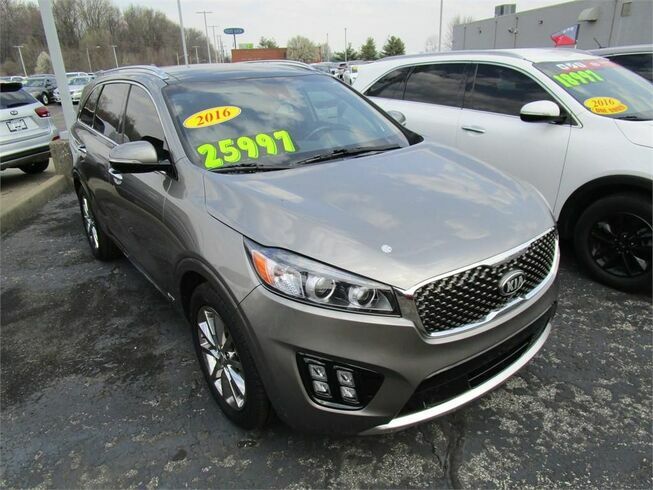 Awards: * 2016 KBB.com 10 Best SUVs Under $25,000 What does it mean to get a car from Duell's Evansville Kia Mazda Volvo: Here is the Duell's Advantage: * Huge Selection at Very Aggressive Prices! * We Take Our Internet Business Seriously! * Friendly, No Pressure, Information Rich Sales People! * Always Fair and Friendly Service Pricing! * Comprehensive Service with Loaner Cars - No Charge! * No Hassle Sell or Trade Any Car - We Need Your Car! * #1 in Sales Volume and Customer Satisfaction! Duell's Evansville Kia, because the most important option on your vehicle is its dealership.